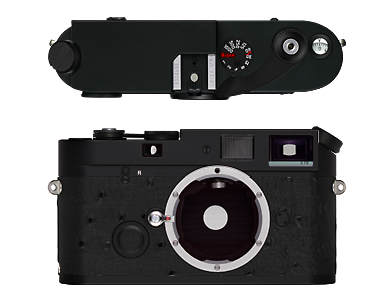 Bespoke custom Leica – make your own for lots of extra money. I have been tubeless on my MTN Bikes since 2000 and there’s plenty of benefits to this system, greater traction, generally lighter weight, and fewer flat tires. I have always gone the UST way until I bought the front wheel for the Carver …. UST approved tires and rims are the ultimate for ease of installation and reliability. Using non-UST rims and/or tires can make installation vary from tricky to difficult. If you do ride hard trails regularly, and have to run high air pressures to avoid pinch-flats, or ride in areas where thorns are a problem, then a tubeless conversion would probably make the most sense. 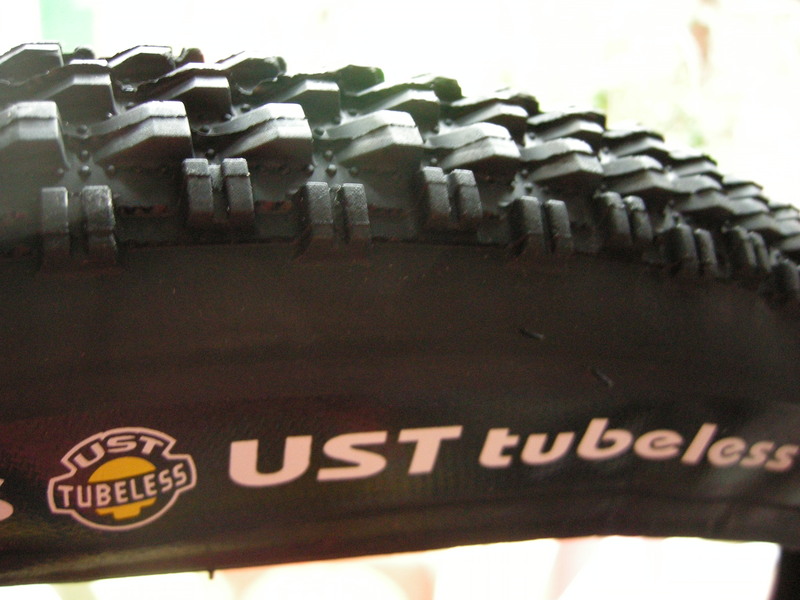 For the ultimate in tubeless tire reliability it is always a good idea to use UST or tubeless ready equipment. Mavic and Hutchison worked together to create UST, or Universal System for Tubeless, to solve problems associated with leaving tubes behind and set standards for other rim and tire manufacturers to work towards. UST compatible systems should allow the user to install the tires by hand and inflate with a standard floor pump. The tires will have an extra layer of rubber inside the carcass to seal against leaks. They do not have to be used with a liquid sealant. Stan’s No Tubes has become a key figure in the tubeless movement, taking some of the customers and making fans with their simple, yet effective conversion systems. Most any standard rim can be converted to a tubeless system with a Stan’s No Tubes Rim strip kit or the combination of fiberglass strapping tape and their yellow rim tape. Both options will seal the spoke holes. The former will work best with tyres that are a bit “loose” on the rim and the latter for “tighter” tyres. This conversion is a little bit more work than slamming a tyre on a UST rim, but it can work great. We’ve used both Stan’s rim strips and their tape kits with great success. Valve stem choice must be made according to rim cross section. Mavic and Shimano rims really need their own proprietary valve because of the channel shape in the center of the rim. Stan’s valves work fine in their rims and most other kinds, but make sure that the valve hole in the rim isn’t drilled so big that the small rubber end of the valve stem can easily pull through. Some buy cheapy presta tubes and cut the valve stem out of them, leaving a small disc of rubber at the base. Tyre choice can make or break the success of the conversion. Obviously, UST tyres are going to work well. UST tyres also have an extra layer of butyl rubber inside the tire carcass to hold in air and this offers a slightly stiffer and more puncture resistant sidewall. For this reason, UST tyres are heavier than their non-UST counterparts. Tubeless Ready tyres are designed to be run tubeless, so they have a stiffer bead for safety, but they lack the extra layer of rubber inside. They are a good choice for those wanting lighter tubeless systems and don’t mind pumping their tires up more often. Here’s where it gets sticky, most people will choose to run a liquid sealant anyway because of its puncture sealing properties. So why go UST? Good question. As stated before, UST tyres are stiffer, so for extreme terrain they are a great choice. Any other tyre will benefit from sealant, as it seals the bead to get started and seals punctures when they happen out on the trail. However, many tyre manufacturers do not recommend that tire sealant be used with their tires. Kenda, for example, states that the use of liquid sealants will void their tire warranty. From my perspective, going tubeless offers some advantages that outweigh the work and expense of the conversion. A tubeless conversion will almost always be a wee bit lighter than similar tubed equipment. Potential weight savings aside, the real benefit is performance. I used to run my tyres with 20 psi more pressure than i do now. Looking back, i suffered a bit with a bouncing bike to avoid pinch flats on the block rocky Cape Town trails – something that is less of a problem in Scotland. The firm tyre i also thought would be quicker as there was less drag (from the bigger patch in contact with the path) Although any minuscule increase in speed is nothing compared to the loss of energy that is caused when the trail robs some of that forward energy to bounce you and bike upwards over obstacles. I now get a much more comfortable ride because of the lower air pressure that I am able to use. 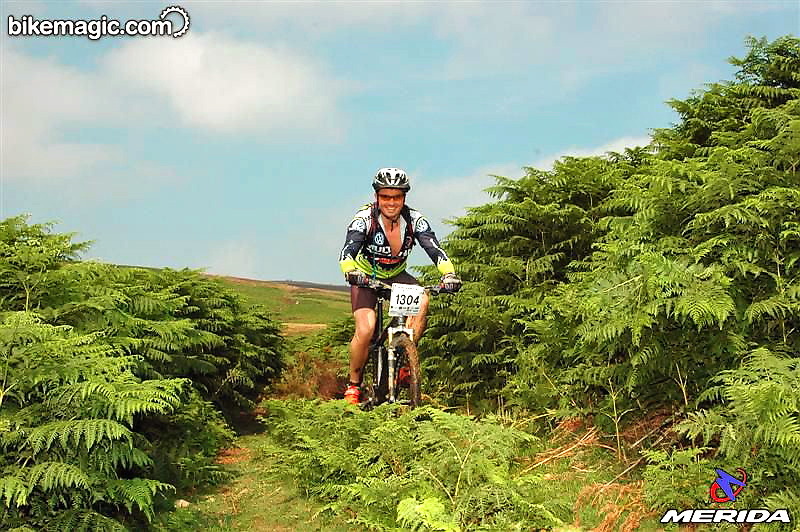 Slightly softer tyres conform a little more to the trail so traction is increased. 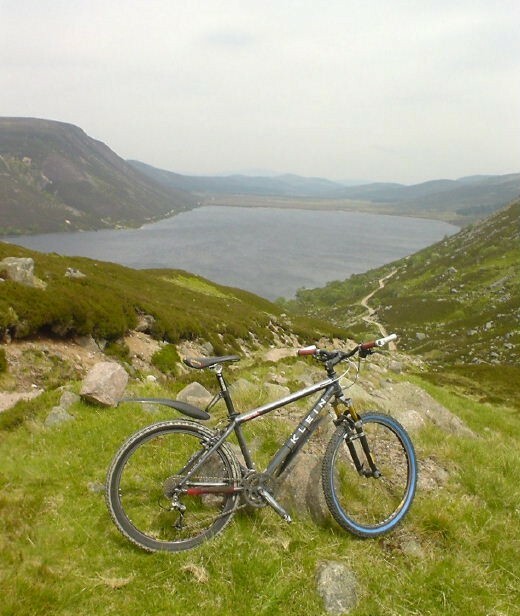 Let’s see…better ride, more traction, and far fewer flat tyres. This is why we like product development. Do i have flats? Apart from a torn tyre wall twice and a bent valve that then leaked air not really. While riding on the trail, it is important to remember to do things differently when you hear the inevitable psssst-pssst-pssst as you roll over something nasty. With tubes, you normally stop when that happens. 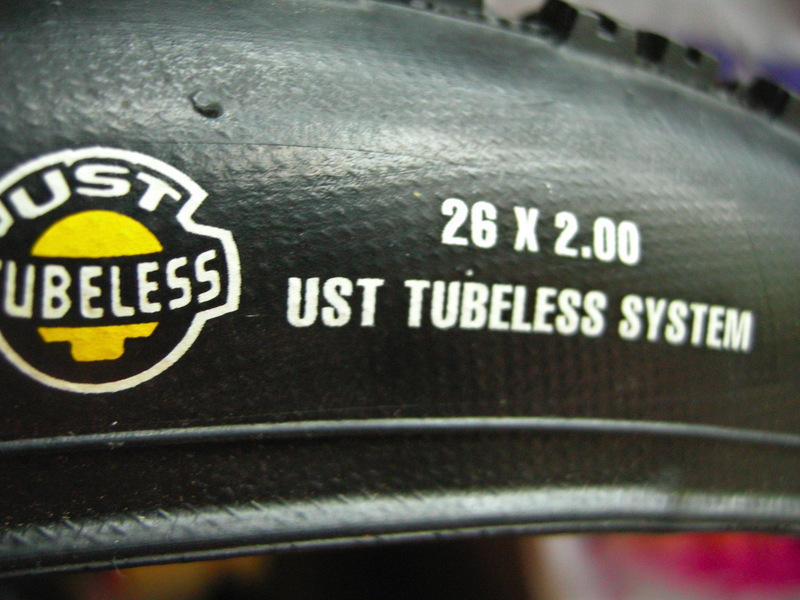 With tubeless, and especially with liquid sealant in your tires, it is important to keep riding. Maintaining momentum will allow sealant to reach the puncture zone and do its work. If the hole is anything but a legitimate gash, liquid sealant does wonders if allowed to form a clot. Of course, if the hole is too big for the sealant to do its work, you can always install a standard tube. Simply remove your tubeless valve stem and install the tube as normal. Going to get a 650b wheel made up for the carver. Stan’s ZTR 355 run tubeless on a Hope 2 hub with a lightweight 160mm rotor. This should stop the very slight toe overlap from the 29’er wheel yet still give small bump compliance of a larger wheel. 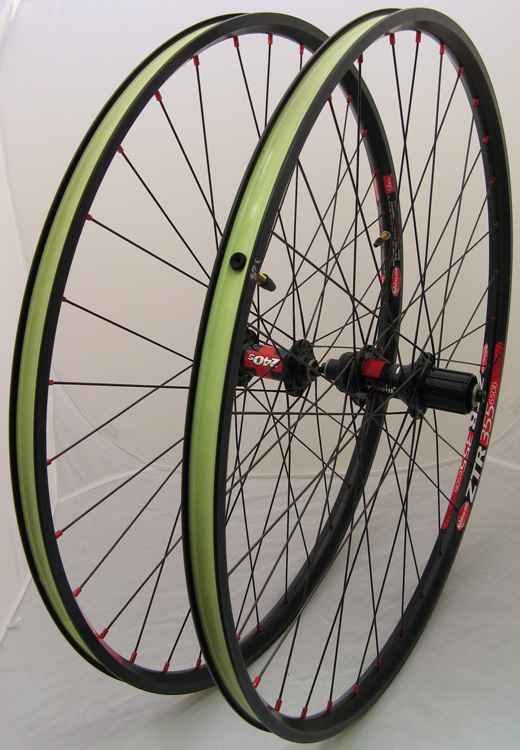 The Stan’s No Tubes ZTR 355 650b Disc Rim is a lightweight 650b rim. At about 385g, it is comparable to most 26 inch rim weights, and can save valuable rotational weight to further enhance the 650b experience. The design takes advantage of both disc and tubeless technology to build a rim that is strong, thanks to a triangulated shape that holds the tire firmly, thanks to re-thinking what it takes for a rim to hold a tire. The tight fit makes running low pressure tubed or tubeless easy, and the short rim wall means that both pinch flats and “burping” is less common. The Stan’s No Tubes ZTR 355 650b Disc Rim is crafted from 6061 aluminum and is drilled for 32 spokes — no eyelets. The rim works with and without tubes. Maximum tire pressure for 2.2” or larger tires is 40psi, 2.0”(43psi), 1.5” (50psi), 1.0” (55psi). 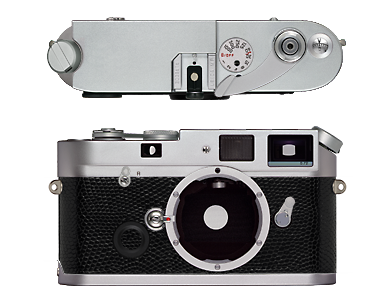 385g. 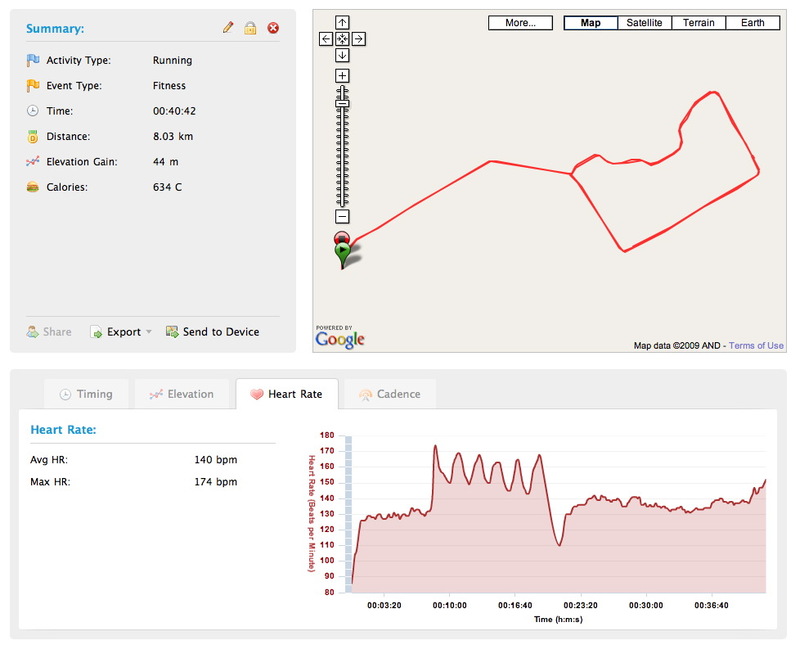 A small run – round the lakes with Guy. Was his birthday but keen to get out of the office …. moaned about work for 20min though. When running many of us just go through the same old motions without actually thinking about what we are doing and why we are doing it. The same can be said of people trying to lose weight. Of course long distance running burns lots of excess calories. But what if there was a running programme which incorporated workloads of varying degrees and speed, power performed on different terrain? Would they lose weight quicker? The answer is “Yes”, they would. This is where ‘Fartlek Training’ comes in. Fartlek training was developed in in 1930’s Sweden. The term ‘Fartlek’ when translated into English literally means ‘Speed Play’. The principle idea behind a ‘Speed Play’ workout is that the athlete combines continuos training with interval training without actually structuring the complete programme. In it’s purest form Fartlek training will be performed without thinking about it. To coin a well known sports slogan, Fartlek performers don’t think, they “Just do it”. The benefits of Fartlek training should, I hope, be apparent to you now. Continually running at one pace over and over again, workout after workout, will mean that performing at higher levels will be extremely hard work indeed. Fartlek training will allow your mind and body to be accustomed to training at higher than normal levels. This in turn means you have the chance to greatly improve your aerobic and anaerobic systems and, if required, lose weight more effectively. We all understand the benefits of interval training. Well think of Fartlek training in the same way. However, unlike interval training, the work-rest intervals are not measure by time but how the body feels. For reason, Fartlek training can be used by all levels of athletes and runners, from complete beginners to advanced Olympic runners. So today was Fartlek but I took along a pal and the idea was to run to the lake then do 2 circuits of 1min fast / 1 min slower – the first was a sprint and neither of us could finish …. in fact we almost threw up. 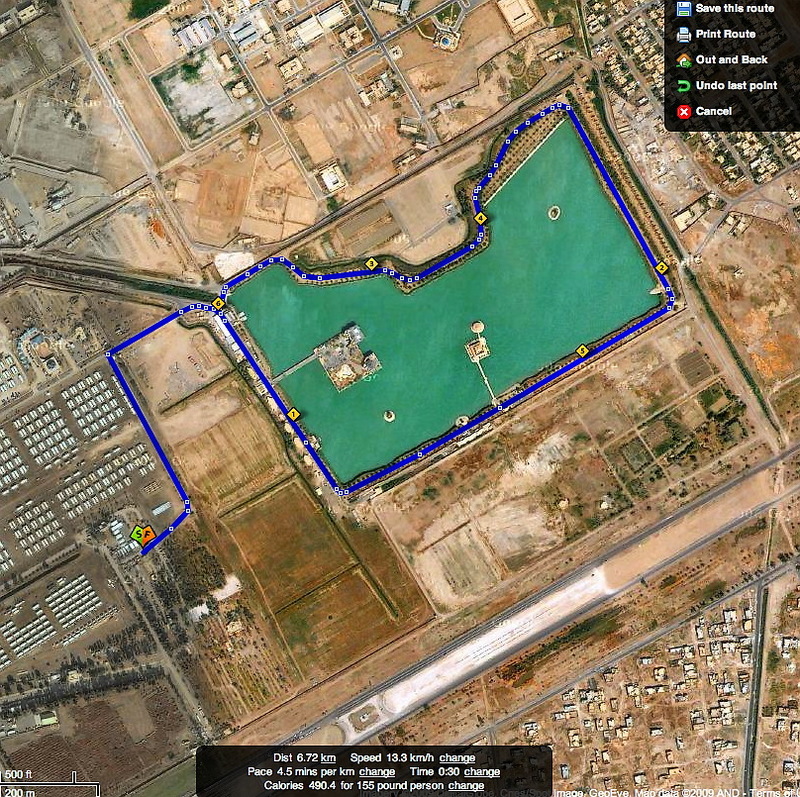 After 1 lap he wanted to give up but i made him do another circuit before heading back. Next one should be easier. Heart Rate Graph above shows this well. Free Form Fartlek Take turns deciding the next interval. The leader for each interval controls the pace, and the distance of that interval. Rotate around the group so each runner has a chance to do lead a couple of workouts. Blind Fartlek: Everyone in the group is given a number, but everyone keeps their number secret. The runners go in order, trying to surprise the rest of the group as they start each interval and forcing the group to react to them. Telephone Pole fartlek: One pole hard/ one pole easy; two hard/ two easy; three hard/ three easy; then repeat the cycle in reverse. You can repeat this set as many times as you can in, say, 20 minutes. To make the set even harder, shorten the recovery to one light post. Timed fartleks: Run hard for a given time, recover for a specific time. For example, go hard for four minutes and then recover for four minutes. To make this set even harder, do the recovery pace at a steady training pace, ensuring that you never feel completely recovered as you start the next set. You can vary the times for this set depending on what part of the season you’re in. Early season you might want to do longer intervals of four to eight minutes, during the season you might want to shorten the interval and lengthen the recovery to work on your speed. Distance fartlek: On a specific course, designate different parts as hard, and others as easy. 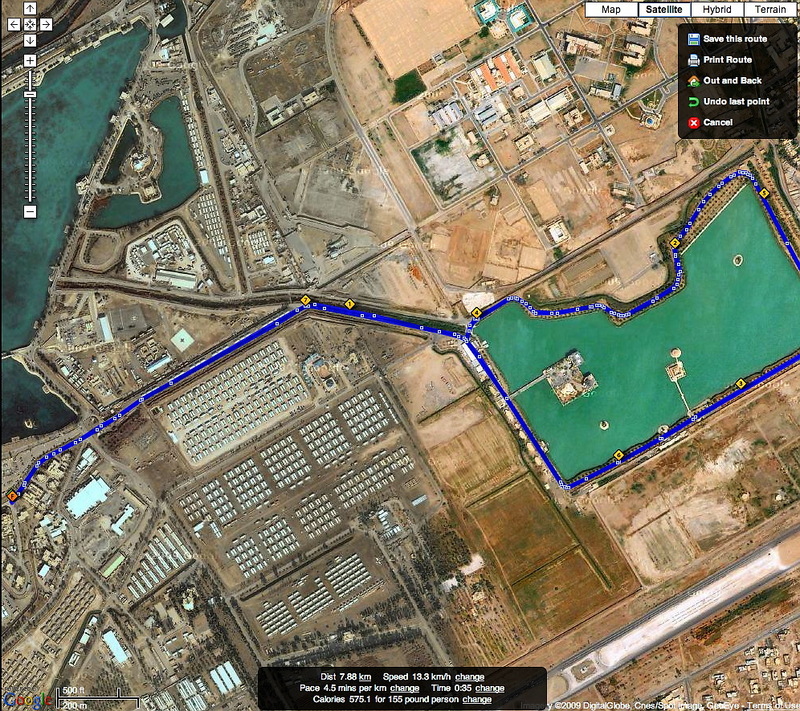 You can make this as short as a loop around the park, or as long as an 8 mile run. Five-minute drill: This is a great fartlek workout you can do on a track. More advance and elite competitors will try to finish a mile during this set. Start with 30 seconds of hard running, followed by 30 seconds of steady running. That’s followed by 15 seconds hard, with 15 seconds recovery. That cycle is repeated twice, then there’s one more 30 second hard interval with a 30 second recovery, followed by one last hard interval for one minute. If you don’t have a coach to come up with the workout, use your own imagination to develop some fun fartlek sessions. Remember, it’s all about play, with some speed mixed into the translation, too. 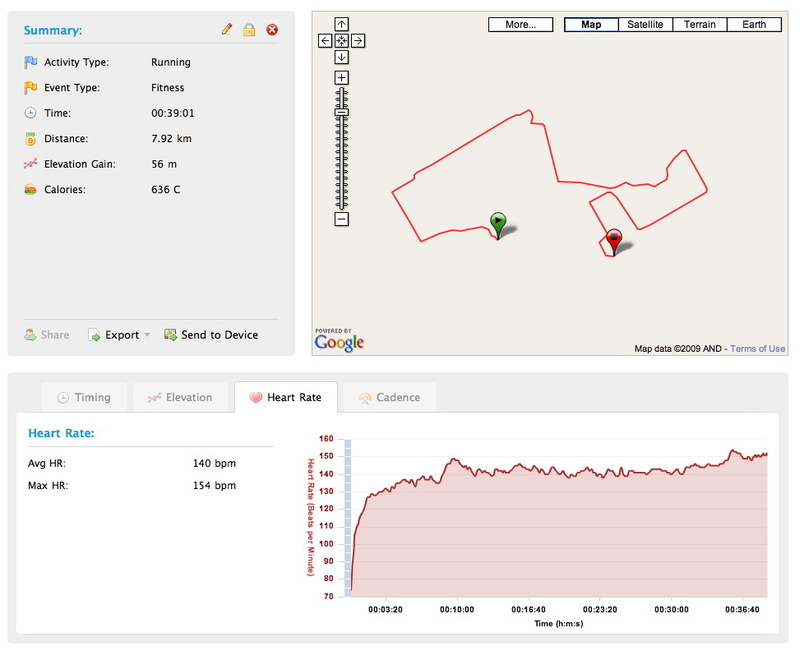 average pace 4:31 / km – brought down by that first km of 5min as I warmed up. Must practice fartleks to speed up. Fartlek, which means “speed play” in Swedish, is a form of conditioning which puts stress mainly on the aerobic energy system due to the continuous nature of the exercise. The difference between this type of training and continuous training is that the intensity or speed of the exercise varies, meaning that aerobic and anaerobic systems can be put under stress. Most fartlek sessions last a minimum of 45 minutes and can vary from aerobic walking to anaerobic sprinting. Fartlek training is generally associated with running, but can include almost any kind of exercise.